Looking for a Honda Dealer serving your town? Norm Reeves Honda Superstore in West Covina is proudly serving those in Baldwin Park, Glendora, Covina, and all other surrounding towns. This Honda dealership comes complete with what you need for a great car buying and automotive service process. Norm Reeves Honda Superstore in West Covina is home to a bountiful selection of new, used, and certified pre-owned vehicles to choose from. On the lot is a variety of trusted and reliable certified pre-owned cars and in the showroom is the inventory of new and advanced 2018 Honda models complete with innovative technologies and efficient performances. To help you get behind the wheel of the automobile of your choice is the finance center at Norm Reeves Honda Superstore in West Covina. Experts are dedicated and work to provide you with affordable loan and lease options you may need. With the finance department is the service and parts department that provides quality service to maintain your Honda’s great performance. Whether you’re looking to have a fluid change performed or you need a serious transmission repair, the trained technicians will give you the help needed in order to get you back on the road. They use advanced tools, technologies, and genuine parts supplied by the parts department to provide an excellent service and repair. To provide you with an enjoyable car buying experience, Norm Reeves Honda Superstore in West Covina has brought on friendly, knowledgeable, and helpful associates. They greet you when you come in, and stay with you to answer any questions throughout the automotive and car buying process. With each step, they provide well-informed information to help guide you to what you’re looking for. Simply put, with them, you can find everything you need and want. At Norm Reeves Honda Superstore in West Covina, providing for you and customers throughout the area is their main goal. This is why the sales floor is open 7 days a week from 9 am to 10 pm on Monday to Saturday and 10 am to 9 pm on Sunday. The Honda service department is open for business 6 days a week from 7 am to 6 pm on Monday to Friday and 7 am to 5 pm on Saturday. 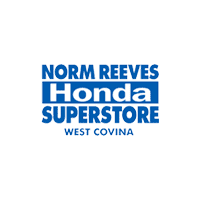 Norm Reeves Honda Superstore is located right in West Covina for car buyers in Pomona, Baldwin Park, and Pasadena. West Covina is a populous town and sits close to Downtown Los Angeles in Southern California. Visitors and residents can both enjoy the numerous attractions and things to do in the town. From annual events to restaurants to shops, there’s something for you to love in West Covina. For car buyers in the area, Norm Reeves Honda Superstore is right in town when you’re ready to get behind the wheel of a new car. At Norm Reeves Honda Superstore in West Covina, we aim to give you great satisfaction when it comes to automotive services. So let us make you happy and help you find your next car. Stop in and check out our vehicles in stock and schedule your test drive today.